"I have a personal dislike to Vampires, and the little acquaintance I have with them would by no means induce me to reveal their secrets." The April 1819 edition of the New Monthly Magazine contained a story, whose authorship was left vague, but was popularly believed to be the work of Lord Byron: it’s title was "The Vampyre", and the character of the aristocratic Lord Ruthven, the ‘vampyre’ of the title, would set the stereotype for literary portrayals of the vampire for the best part of a century. The following month’s edition carried a letter from Dr. John Polidori, who had been Lord Byron’s physician on his travels across Europe in 1816, claiming that the story was his own work, but admitting that it was based on a story Byron had begun and quickly abandoned in Geneva. Indeed, the portrayal of Lord Ruthven was unnervingly close to the entrenched public image of Byron himself, that of an immoral and sinister anti-hero - an image which he had courted and even played upon, though he was quickly to weary of it. 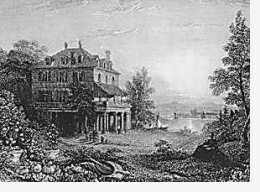 The origin of the story can be traced back to the Villa Diodati on the shores of Lake Geneva, where Byron, Percy Bysshe Shelley, Mary Godwin (later Shelley), Mary’s step-sister Claire Clairmont and Polidori spent a scandalous summer in 1816. It was a ‘wet, ungenial summer’, and to pass the time the party began reading ghost stories. According to Mary it was Byron who announced, "We will each write a ghost story." Mary duely wrote "Frankenstein", Shelley apparently wrote nothing, Byron produced a brief fragment of a story which he quickly abandoned, and "poor Polidori had a terrible idea about a skull-headed lady". Polidori’s account of Byron’s story indicates it "depended for interest upon the circumstances of two friends leaving England, and one dying in Greece, the other finding him alive upon his return, and making love to his sister." 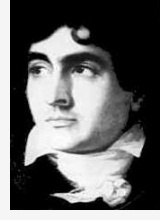 By the end of the summer the group had split up, with Byron and Polidori on particularly bad terms, and the character of Ruthven was no doubt created out of Polidori’s continued malice towards Byron. On its publication "The Vampyre" was widely attributed to Byron, much to his irritation, and as a form of self-defence maybe, he lost no time in quickly publishing his own "Fragment", in which the vampire elements to be found in Polidori’s work are noticeably missing - perhaps eradicated to make the story as removed from "The Vampyre" as possible. But even after the matter of authorship was cleared up, Byron could not escape the unwelcome association with Polidori’s story, and it was still printed in the 3rd edition of Byron’s "Works" in 1820 by popular demand. Polidori himself was only paid £30 (in retrospect) for what is probably the most influential horror story of all time: it was the first vampire tale of any substance in the English language, and the character of the aristocratic vampire Lord Ruthven would dominate all treatments of the theme that followed it well into the Twentieth Century. 2. John Polidori: author of The Vampyre and creator of the infamous Lord Ruthven.